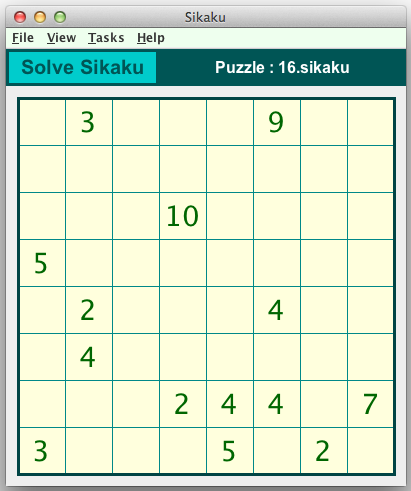 The following graphics show a Sikaku puzzle in the Crossword Express Solve screen and a PNG graphic file produced by the program's print function, showing the complete puzzle solution. See also a full size version of a PDF file containing the solution. 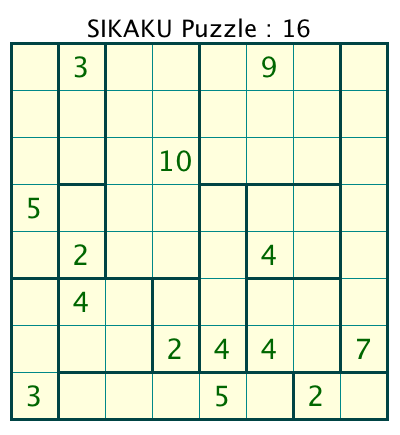 Puzzles may be built in sizes ranging up to 20x20.